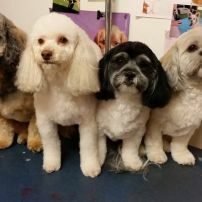 I am a Certified Groomer Starting my own business in September 2001. I have been involved with Dogs since 1984. Starting with Obedience training my own dogs to instructing and then on to being a Vet Nurse for 8 years. 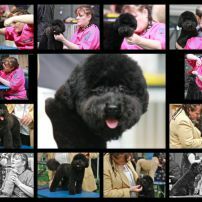 I have since been in Grooming compitions in the Royal Show Winning Second best Groomer of the year in 2009 and Best groomer of a Mixed breed.